If you have a massive and complex project with many entities, data, data sources, data destinations and processes going on, a data flow diagram is one of the most effective ways of making sense of all that data. 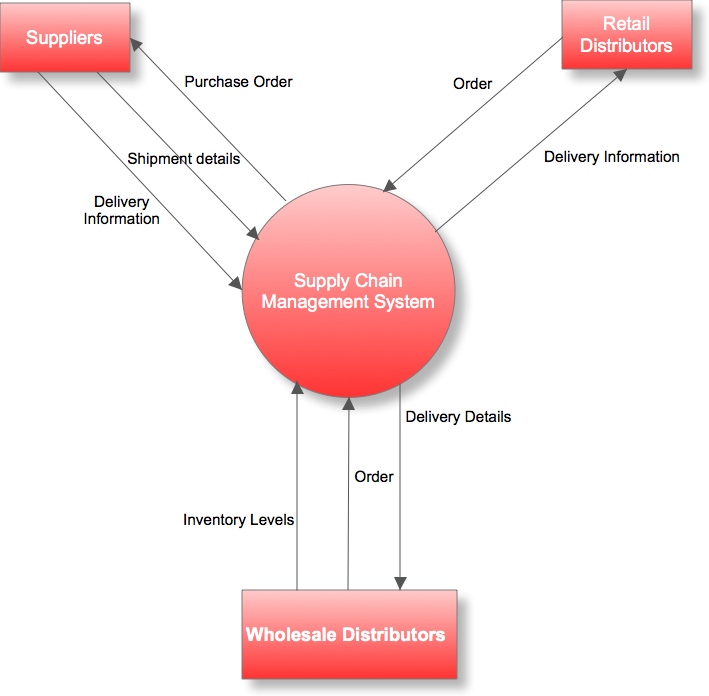 The diagram mostly concerns itself with the flow of data through the system. The DFD focuses on “what” the system will accomplish and not the “how” of it. It does not provide any information on the timing of information flow in the process or the sequence of activities – It is popularly used in Structured Systems Analysis and Design. There can be as many levels to a DFD as possible – it depends on the level of granularity you’re trying achieve. This diagram contains everything in the context diagram but also includes the major processes as well as the data flows in and out of them. The objective is to achieve a higher level of granularity. The processes illustrated here can be decomposed into more primitive/lower level DFDs. This is where you take each process, as necessary, and explode it into a greater level of detail, depending on your preferred level of granularity. For example, DFD-Level 1 could focus on decomposing one of the processes in the Level 0 diagram into its subprocesses. For example, If we take Process 4.0 - Procure Raw Materials, it can be decomposed further into 4.1 - Aggregate Raw Materials, 4.2 - Place Order, 4.3 - Record Shipment Details and so on. If necessary, we can decompose 4.3 further into subprocesses, thereby creating a DFD-Level 2; the resulting processes would be labelled: 4.3.1, 4.3.2, and so on. Also, see Lucidchart's detailed explanation of what a Data Flow Diagram is. For more information on how to create a Data Flow Diagram - Download Ed Yourdon's book on DFD which will take you through DFDs from the fundamental aspects to the detailed. Download the template I used here - It's in Visio XML format and can be imported directly using Microsoft Visio. Systems Analysis & Design in a Changing World also contains an explicit illustration on how to create data flow diagrams. The chapter on DFD is available for free here.